We realize that sometimes finding suitable pet friendly rentals can be tough yet leaving your pets at home isn’t a great option either. At Stay Blue Ridge we have 25 awesome pet friendly rentals that will be just perfect for your next mountain vacation. 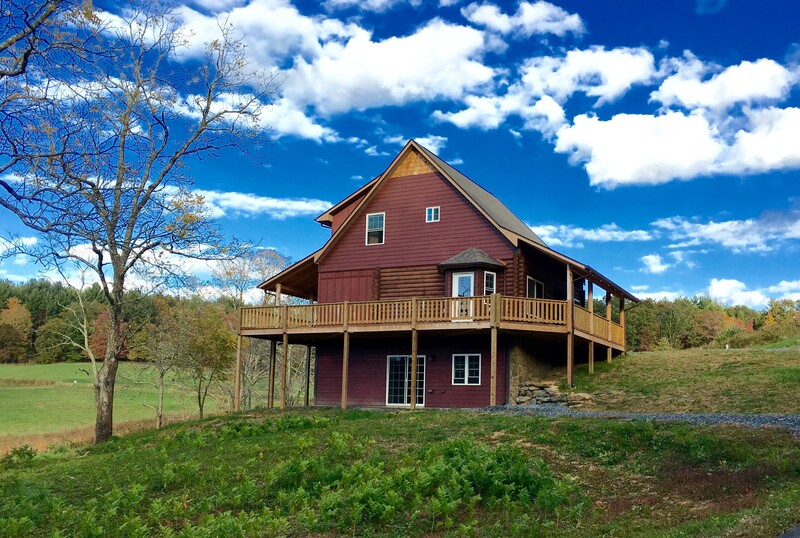 Whether you’re traveling solo and want to bring your best four-legged friend on a relaxing vacation, check out Creekside Escape that offers both privacy and peacefulness. Close your eyes and you can hear the babbling stream that runs behind the home and the birds chirping in the trees. There’s also a delightful deck to enjoy your breakfast on each morning. You could actually wind up paying less for your next vacation if you bring your pets along! You’ll save on those pricey fees that boarding facilities and dog sitters charge so that’s more money to spend on your vacation away. Our vast assortment of vacation rentals that accept pets range from 1-4 bedrooms and are just waiting for your arrival! Many homes are perched on a mountaintop among the forest. Stately homes offering stunning views, with spacious and roomy layouts and, most importantly, privacy. Those traveling with a large group of family of friends will delight in Kapena Escape (above), one of our newest rentals that can sleep 12. Located in the countryside of Jefferson you’ll have your own lake for swimming or boating. Even fido will appreciate jumping off the dock and into the cold mountain water! Multi-dogs are permitted at this home with a maximum of two dogs allowed. These homes offer amenities like hot tubs, large flat screen TVs with satellite, spacious chef’s kitchens, and en suite bathrooms with tub/shower combos. The hot tubs and fire pits some homes provide offer a delightful place to wind down after a day hiking on mountain trails or cycling the hilly well-paved roads. 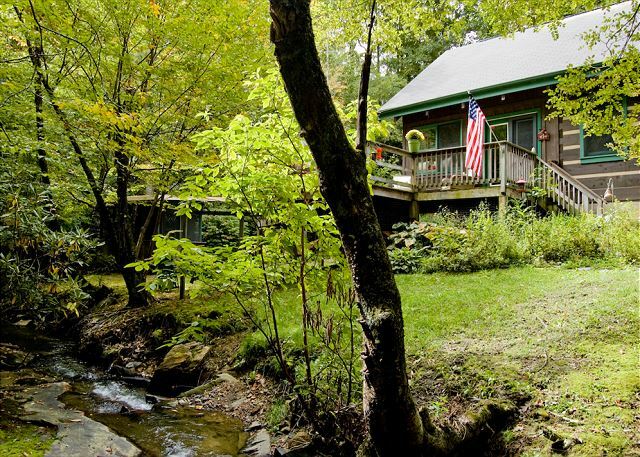 At Stay Blue Ridge, we strive to offer the most affordable luxury vacation rentals in the Jefferson NC area. We’d be happy to talk with you further about any rentals you may be considering. Previous PostPrevious Book a Valentine’s Day Cabin!